Discover Lengshuikeng, a gorgeous landscape made of lava rocks that offer various natural hot springs! They are willing to help on my schedule. The tour is still go on even only I join so that I didn’t ruin my schedule. 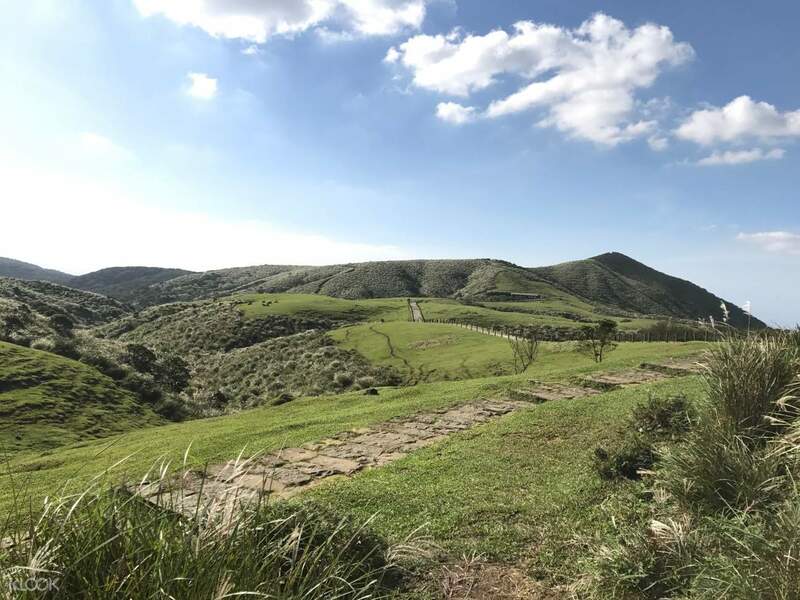 If you’re itching for a nature trip while in Taiwan, you can join this day tour exploring the picturesque Yangmingshan National Park and Beitou District. Start your day at Thermal Valley, the primary source of many hot springs in Beitou District that became famous for its eerie smoke surrounding its waters. 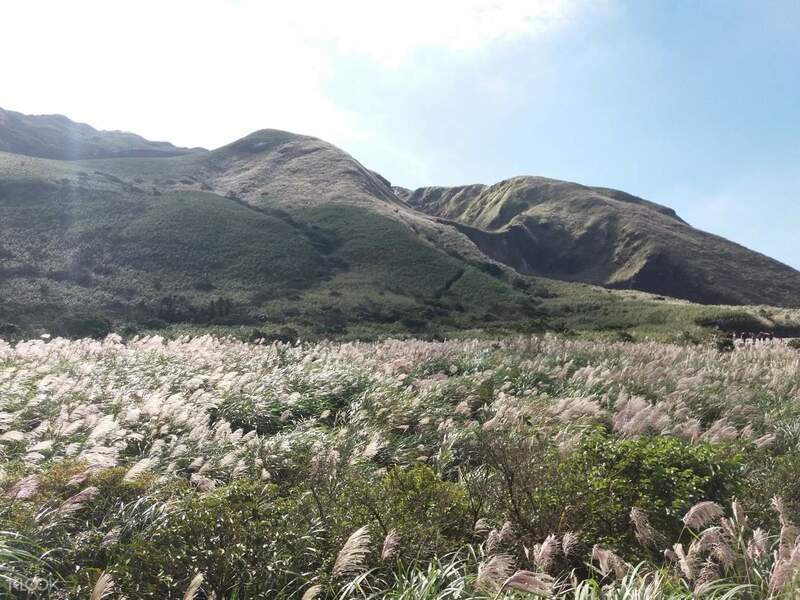 You’ll also stop by Yangmingshan National Park where you can find the beautiful and well-manicured Yangmingshan Flower Clock, and Lengshuikeng, known to be the ‘coldest’ hot spring in the area. After this day trip, you’ll be dropped off at Shilin Night Market where you can end your day tasting the best street foods of Taiwan! 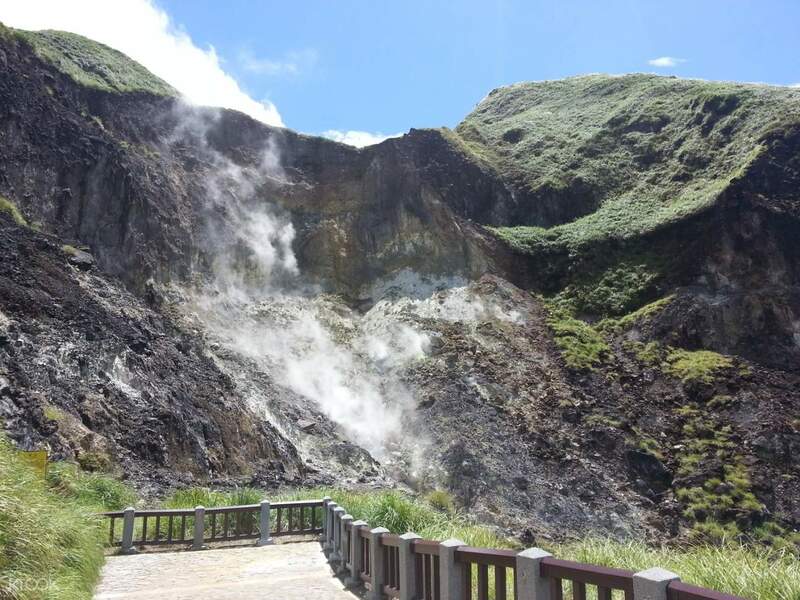 Witness the beauty of Beitou and Yangmingshan National Park when you join this one day tour! Walk through various fields and grasslands and take lots of photos! 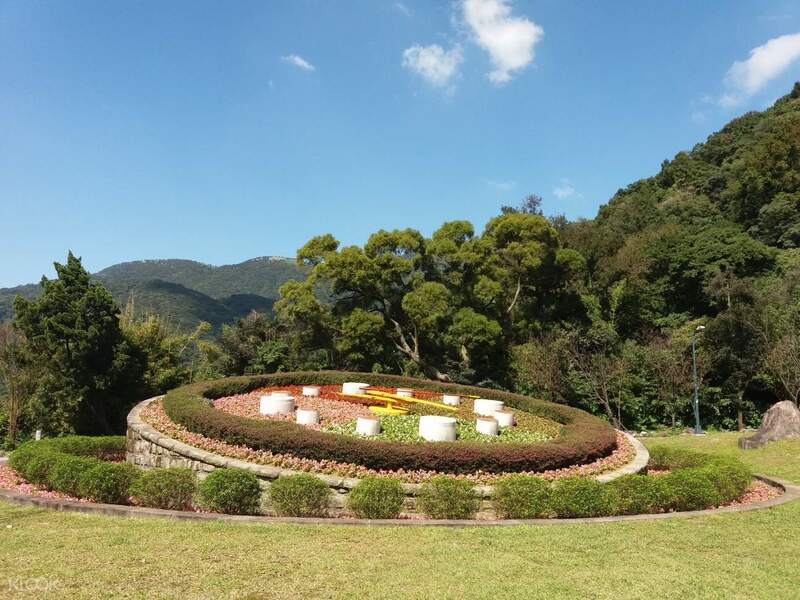 See the iconic Yangmingshan Flower Clock and other top Taiwan attractions when you join this tour! We finished early. Thomas was very thoughtful I was coughing because of the cold weather so he managed to assist me where to buy medicine for my coughing and he gave me water. He added the The Grand Hotel into our itinerary since it was still early. He was also very informative the whole trip. I did also appreciate that he sang Besame Mucho for us. We finished early. Thomas was very thoughtful I was coughing because of the cold weather so he managed to assist me where to buy medicine for my coughing and he gave me water. He added the The Grand Hotel into our itinerary since it was still early. He was also very informative the whole trip. I did also appreciate that he sang Besame Mucho for us. Our tour guide is very nice and he gave us extra places to visit because the weather condition in the morning is not so good. Despite the weather, we’ve seen good spots and completed the entire itinerary. Very good job, KC (our tour guide). Our tour guide is very nice and he gave us extra places to visit because the weather condition in the morning is not so good. Despite the weather, we’ve seen good spots and completed the entire itinerary. Very good job, KC (our tour guide). I am so happy Klook allowed me to rebook this trip to apply for the discounted rate. The tour guide was a liitle bit old which is lucky for us since mostly there were oldies on the group haha. She is very knowledgeable of the place. 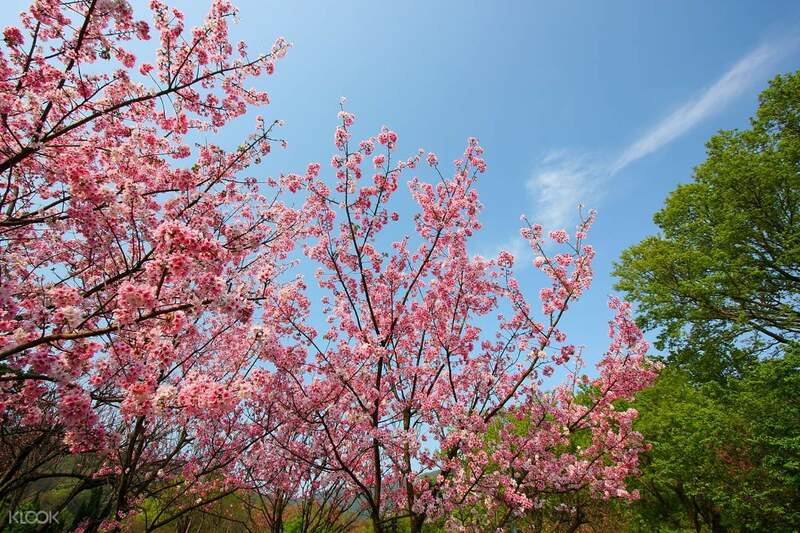 Since we have still time she brought us to a place where there are lots of cherry blossom trees as we requested. Te tour guide is a little bit funny and she is always smiling. I am so happy Klook allowed me to rebook this trip to apply for the discounted rate. The tour guide was a liitle bit old which is lucky for us since mostly there were oldies on the group haha. She is very knowledgeable of the place. Since we have still time she brought us to a place where there are lots of cherry blossom trees as we requested. Te tour guide is a little bit funny and she is always smiling. I had amazing experience and considered it was my best decision to buy this tour. Jenny is wonderful guide with full of energy, knowledge, openness and humor. She is willing to take photo for each group and pick the best location. Will recommend this tour to all my friends. I had amazing experience and considered it was my best decision to buy this tour. Jenny is wonderful guide with full of energy, knowledge, openness and humor. She is willing to take photo for each group and pick the best location. Will recommend this tour to all my friends. One word. Superb! Tour guide gave very informative information. We are late due because we are loss due to improper explanation in the klook apps but the tour guide kindly contacted us and guide us and wait for us! One word. Superb! Tour guide gave very informative information. We are late due because we are loss due to improper explanation in the klook apps but the tour guide kindly contacted us and guide us and wait for us! English tour guide Molly was very pleasant and helpful. Weather was great after a week of fog so she took us to spots we could enjoy the good weather for best photos first. Overall good experience. Recommended for couples. English tour guide Molly was very pleasant and helpful. Weather was great after a week of fog so she took us to spots we could enjoy the good weather for best photos first. Overall good experience. Recommended for couples. I lucked out being the only one on this tour. I was also blessed with incredible weather and the tulips were in full bloom. once my guide and driver knew I’d been to some places on the list, they brought me to places less visited by tourists instead. huge thanks to Ms. Yang and Mr. Jiang for bringing me around and the outstanding service provided. I lucked out being the only one on this tour. I was also blessed with incredible weather and the tulips were in full bloom. once my guide and driver knew I’d been to some places on the list, they brought me to places less visited by tourists instead. huge thanks to Ms. Yang and Mr. Jiang for bringing me around and the outstanding service provided. While you're here, check these out too! Psst! You can get off this booking using promo code on the Klook App!